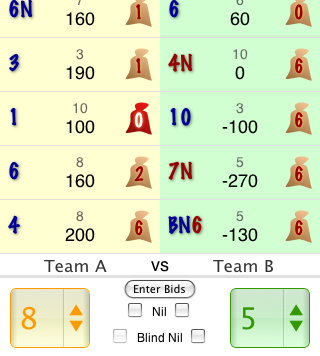 iPhone and iPod touch software, games, toys, calculators and web applications by Kudit: First in our card game scorekeeping series. Kudit is proud to announce the Spades score keeper. Keep track of your game of Spades without having to scribble down on paper. Handles bags and being set and even blind nil bids for you!